More buyers than ever are eyeing an increasingly smaller pool of homes on the market, with San Francisco retaining its title as the most sought-after market in the country in March. That’s according to realtor.com’s latest monthly list of America’s hottest housing markets, as judged by the fastest pace of sales and the most listing views on its website. Nationwide, the median list price climbed to $280,000 in March, the highest since the company began tracking that data in 2012 and up 8 percent year over year. Although 480,000 new homes hit the market from February to March, inventory is still down 8 percent year over year. Nowhere is competition for homes fiercer than in San Francisco, which ranks as the hottest U.S. real estate market for the third straight month. Vallejo moved up one spot from February to No. 2, while San Jose held steady in the No. 4 position. In a related report published at the end of last year, realtor.com named those Bay Area housing markets the nation’s three hottest for 2017. In typical fashion, California cities account for more than half of the cities on March’s hot list. The others: Santa Cruz (No. 6), Stockton (No. 8), Sacramento (No. 10), Chico (No. 12), San Diego (No. 14), Modesto (No. 15), Fresno (No. 17), and Santa Rosa (No. 19). The Golden State’s housing inventory woes make headlines on a near daily basis, but there was a piece of good news on the subject last week. That would be the Property Tax Fairness Initiative, an initiative sponsored by the California Association of Realtors that would allow homeowners 55 and older to sell their current homes without facing higher property taxes. As realtor.com reports, this could incentivize older Californians to put their homes on the market, adding much needed supply for other buyers. Californians will vote on the initiative on Nov. 6. 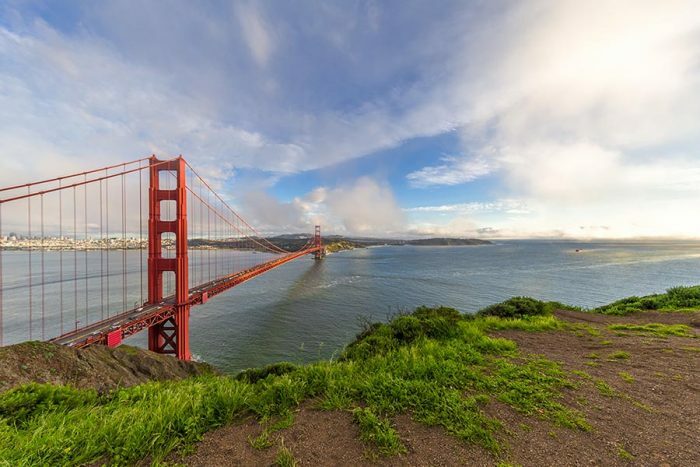 A recent blog post from American Enterprise Institute put the amount of people leaving the Bay Area at a 10-year high, and now another study sheds light on the number of residents who are fleeing the region. ATTOM Data Solutions’ Q1 2018 U.S. Home Affordability Report says that eight of America’s 10 most expensive counties for homebuyers saw declines in net migration in 2017, meaning that more people left than arrived. Santa Clara County had the second highest net-migration decrease in the U.S., losing 5,559 residents. San Mateo, Marin, and Napa counties also ranked among those with the most significant net-migration declines last year. San Francisco and Alameda counties bucked that trend, adding a respective 5,555 and 1,286 residents. ATTOM Data Solutions attributes the gains in those two counties to international immigration outweighing domestic migration. Anyone who is currently moving to the Bay Area instead of away from it will face higher rents than they would have last spring. Zumper’s latest monthly rent report puts the median cost of a one-bedroom apartment in San Francisco at $3,400 in March, maintaining the city’s status as the nation’s priciest for tenants. While one-bedroom rent prices in San Francisco were flat from February, they were up by 2.4 percent from March 2017. As the nation’s third most expensive rental market, tenants in San Jose can expect to pay a median $2,470 for a one-bedroom unit, an annual increase of 9.3 percent. In No. 6 Oakland, one-bedroom apartments go for $2,130, up 2.9 percent year over year. Next PostNext How Much Do You Need to Earn to Live in Each Bay Area County?